Serving the Wellington and surrounding areas, at ncognito we know that what works for one person doesn’t necessarily work for another. Some people live in the kitchen while others eat out several times a week. Some have picky taste buds while others have a travel schedule that makes nutritious choices harder to come by. Whatever your circumstances, we can design a nutrition program to accommodate “your” lifestyle! 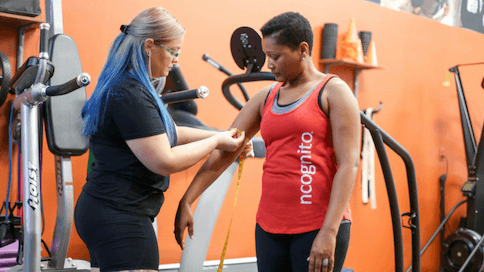 Come in for a complimentary lifestyle evaluation to learn about ncognito’s nutrition services. You will complete a lifestyle profile and meet with one of our lifestyle advisors to discuss your goals and any questions you may have. Our lifestyle profile will capture your eating and lifestyle preferences. If you feel like we are the right fit for you we will get you scheduled in for a nutrition consultation with a member of our nourish team. Our 45-minute nutrition consultation is your time with a member of our nourish team to discuss your nutrition and health concerns. Utilizing your completed lifestyle profile, nutrition health chart and the information obtained from this consultation, our nourish team will develop a personalized nutrition plan to help you reach your goals.